I need to absorb multible attributes included in block areas into a number of ploygons. In other words, I need to bring block level data into a number of overlaying polygons. The polygons will absord all the data in the smaller polygons. They can lose their data so long as their spatial location remain the same. Below is an image of the project. The blue zones will be absorbed into the Orange zones. What it sounds like you need is the Spatial Join geoprocessing tool. This tool allows you to create a new output feature class, based on the features in an input feature class (your orange polygons) and adding any attribute information from another feature class (your blue polygons) based on a user defined spatial relationship (intersect, completely within, etc...). Due to it looking like your polygons are coincident in some of their boundaries (share boundaries) you will likely want to play around with the spatial relationship selected for use in the tool based on what effect you are going for, but I think this tool should definitely meet your needs, at lest from what you describe you are looking for. Not the answer you're looking for? 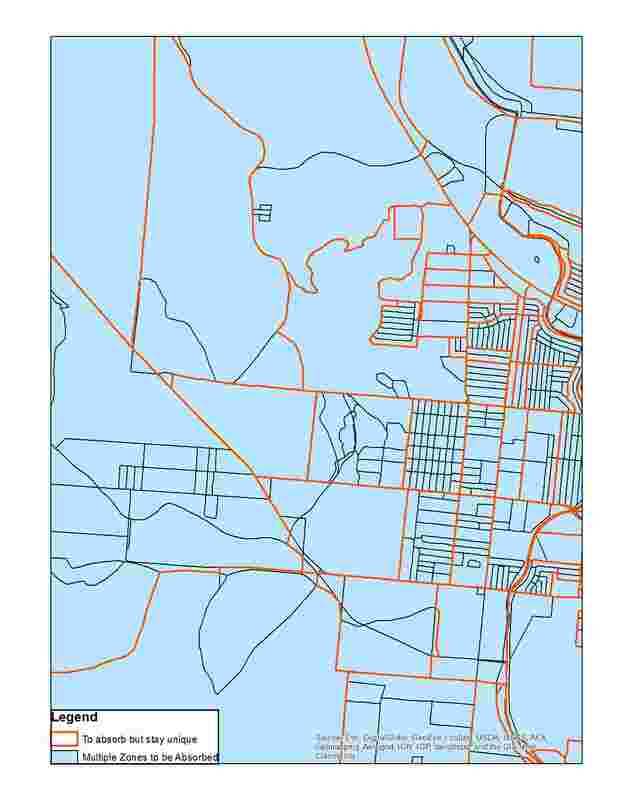 Browse other questions tagged arcgis-desktop arcgis-10.0 polygon or ask your own question. How to generate polygons upto the edge of other polygons?